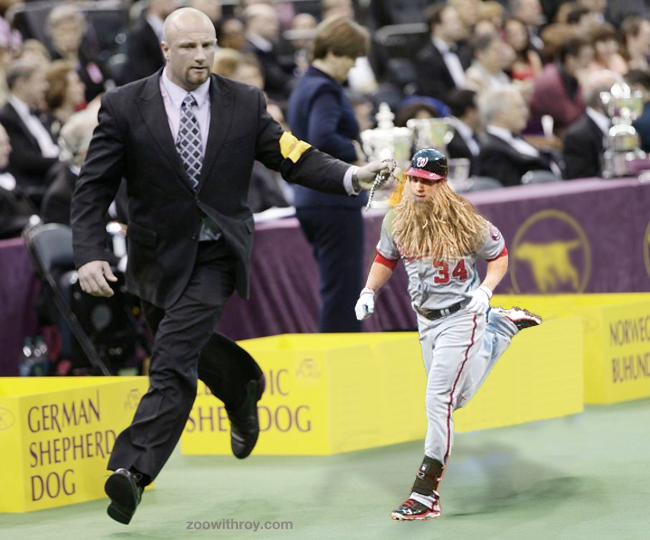 Congrats to Bryce Harper, who-- after beating out more than 3,000 pooches from around the globe-- was crowned dog of the season by the Westminster dog people! Make no bones about it, this was a ruff choice for the judges. Just realized that there is only one player in the world worthy of wearing #34. It's not Harper. Led by un-retouched BJ Upton. Very cool entry and I am so satisfied that I have found this useful information.